Move over Tickle Me Elmo, because Chewbacca just got transformed into the cutest animated toy ever. 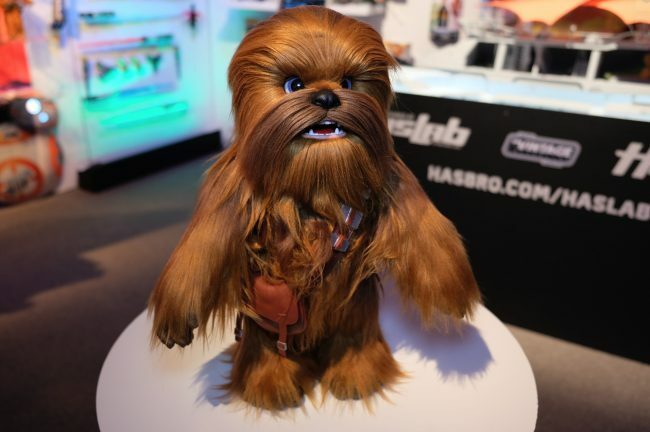 Hasbro’s Ultimate Chewie is a 16-inch tall toy that is based on Hasbro’s Furreal technology. He roars when you pet him, or when he detects movements and sounds. You can even rock him to sleep. Chewie will be out in the Fall for $129.99. 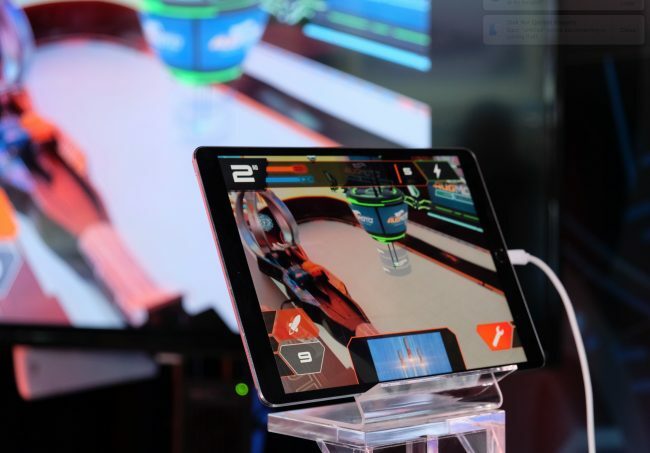 Mattel’s Hot Wheels Augmoto is a racing track system that incorporates AR. The game lets two players race against each other using their iPhone (or iPad), with the app extending the racing experience by adding lighting effects, power-ups, track enhancements through AR. Augmoto will be released in the fall, and it will retail for $120. You can never be too young for STEM. That’s the concept behind Lego’s DUPLO Steam Train. 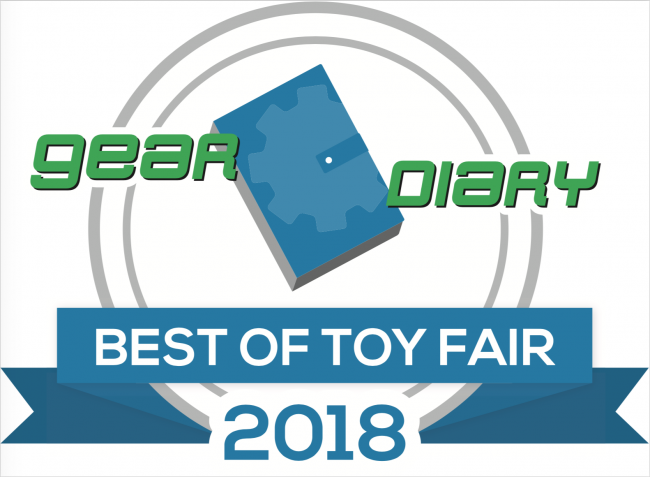 The 59-piece set is designed for ages 2 and up, and it encourages kids to tinker with their train set and to learn about cause and effect. A free optional companion app lets kids take control of the train using a Bluetooth connection. 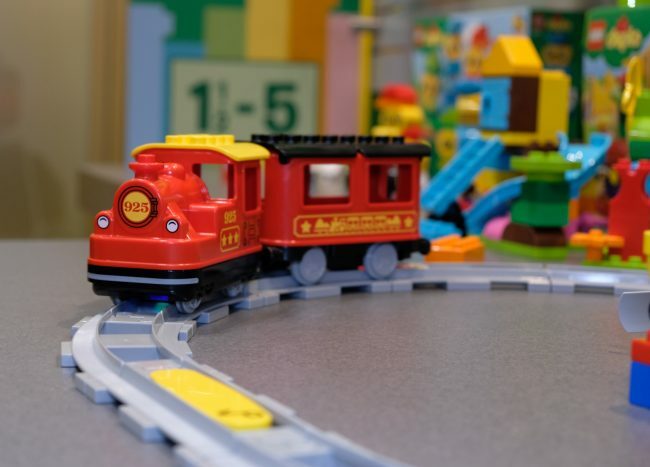 The Lego DUPLO Steam train set will be available in August for $59.99.